Marinated fillets of herring rolled with sliced onion. 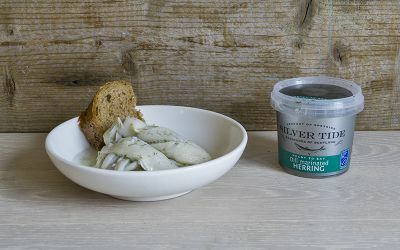 Fillets of herring rolled with sliced onion and packed in a marinade. Ready to eat.